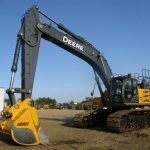 WE PRIMARILY STOCK CATERPILLAR 140, 160 AND 14 AND JOHN DEERE 772 AND 872 GRADERS. 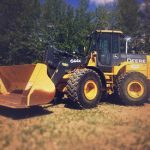 THESE SIZES OF GRADERS MAKE UP THE MAJORITY OF THE GRADER MARKET IN NORTH AMERICA DUE TO THEIR ABILITY TO BE EFFICIENTLY USED ON JOBS OF ALMOST ANY SIZE. 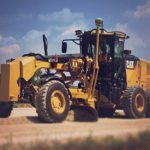 Graders are available in many configurations and we ensure our graders are equipped with the options that allow them to be used in any situation. 6 wheel drive, rippers, snow tires, snow wings and premium lighting packages are just some of the options we equip to make sure every customer has the right tool for the job. 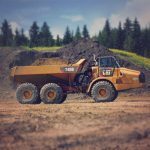 Grader rentals are utilized throughout the year by our customers and are commonly found completing rough and finished grades for civil construction or oil and gas projects in the summer construction season. 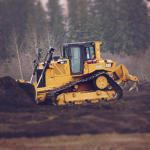 In the winter our graders become critical tools for municipalities and oilfield customers that need to ensure roads and work sites remain clear of snow. partner in equipment package, we can help you out. Copyright © 2018 ConTrac Equipment LTD. All Rights Reserved.